If you know me then you will know that I am always looking for ways to add value and make a contribution. 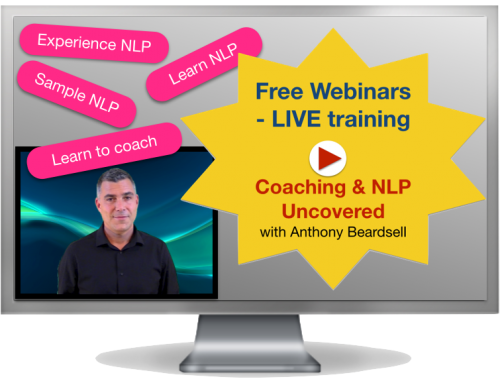 Recently we have been doing a series of free webinars entitled NLP and Coaching Uncovered. Uncovering some of the secrets of NLP and talking about how to use it in a coaching environment. 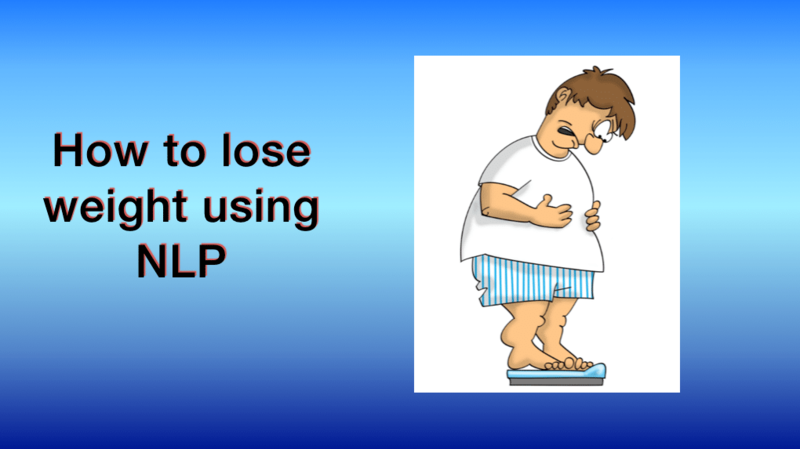 One of the ways that NLP can be especially useful is in helping people with losing weight. This is a huge field for coaching, lots of opportunities there and many of the graduates from our NLP and coaching training courses are using their new skills and working in this area of expertise. 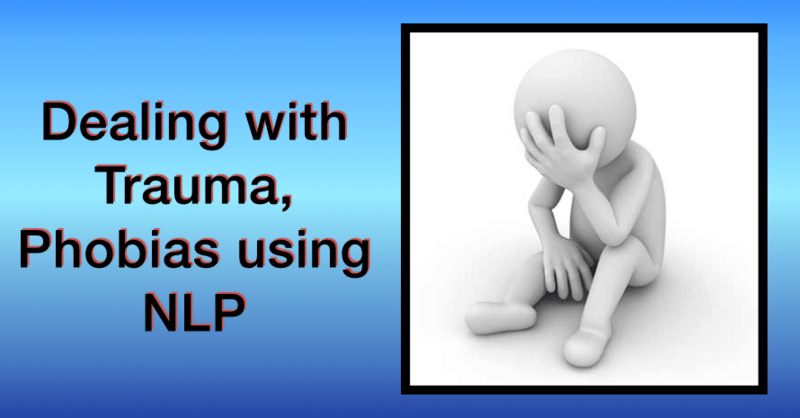 I spoke yesterday at a seminar involving therapists, counsellors, psychotherapists and psychologists about how to use NLP to help people lose weight and we recorded the content. I wondered if it might be something that you would be interested in so I thought that I would share it with you. The seminar is over an hour long and there is some great value content in there, so when you get a bit of free time grab a cuppa and watch the recording below. 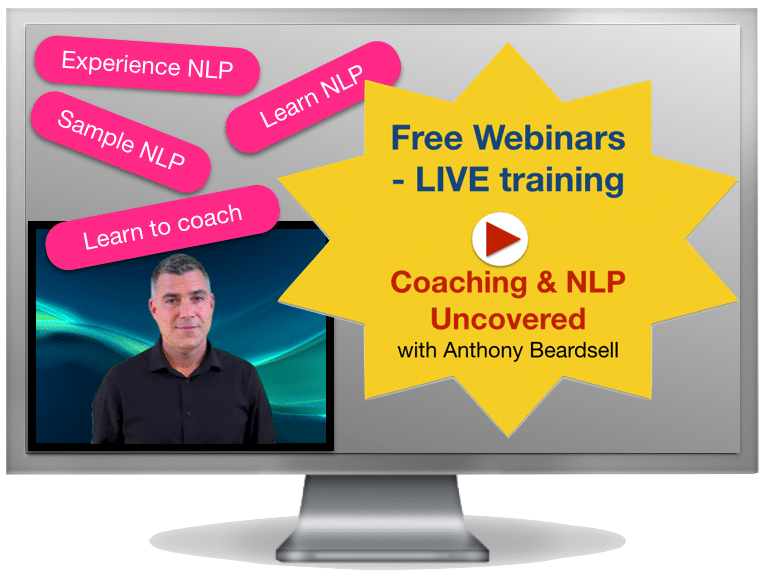 In this webinar I talk specifically about how to use NLP to lose weight or how to help someone else lose weight using NLP. I show you why diets will provide inconsistent results leading to fluctuating weight gain and weight loss and show you some tools that you can use and will help produce more effective change and long term consistency in working towards losing weight and having a slimmer, more healthy body. I hope that you enjoy the video. Let me know your thoughts and if you have any questions then I would be happy to answer them. 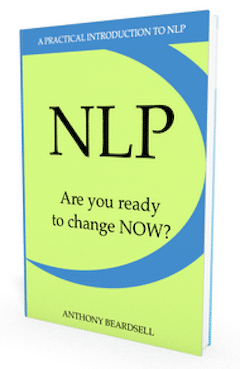 Interested in learning NLP to help others or achieve personal change? 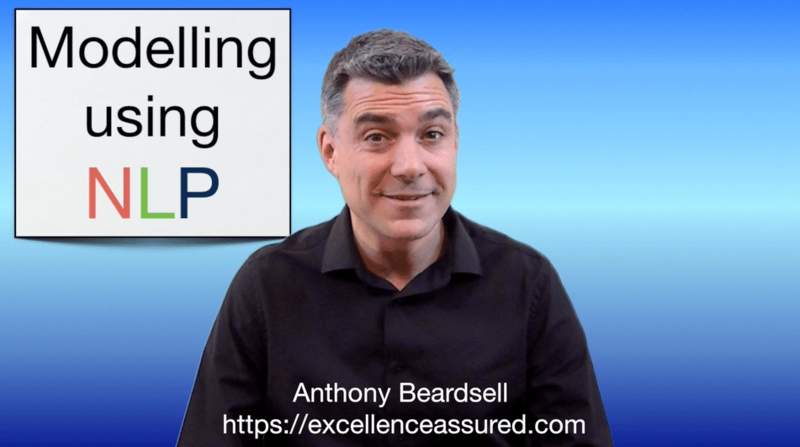 We have a full range of NLP certification training courses available for you right here on this website. First of all. 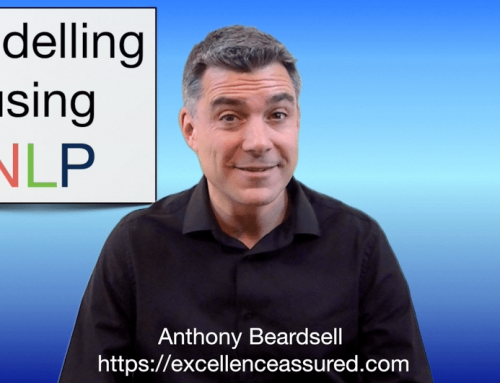 It is worth reminding you that NLP is a do with process, rather than a do to process. So in this video I show you how weight loss and change can be achieved. Bear in mind that change will only happen with the permission of the client or yourself if you are interested in change. So we need to have willing clients and be willing. They need to want to lose weight and be prepared to change now to get a better life. I’m going to assume then that we are working with people who want to change and want to lose weight. Now here is the question. How come they haven’t already lost weight? How come they are overweight? Whether you are overweight or underweight or just the right weight for you depends essentially on two things doesn’t it? Unless you have some kind of medical condition, it depends on what you put in to your body and the amount of energy that you use. There are other factors that have a smaller influence, like bones but they play a small part in the scheme of things. 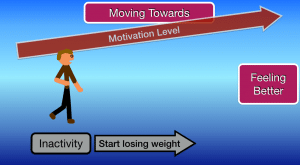 It depends on the food and drink that you consume and the amount of moving about that you do. 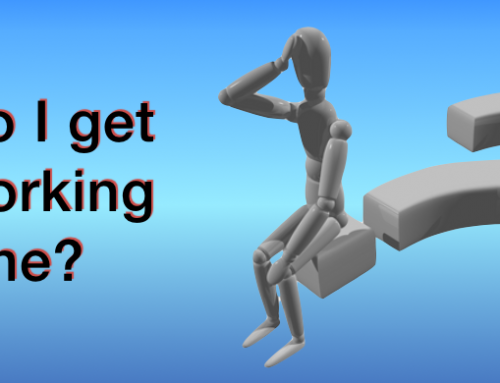 So, how come if someone is overweight they eat too much, drink too much or do get enough exercise? If they want to lose weight then how come they don’t just eat less and do more exercise? Well it isn’t as simple as that, is it? If it was then we wouldn’t need NLP and we would all be exactly the weight that we want to be. Something stops us from taking exercise even though we know that we should and something makes us eat what we know that we shouldn’t, in the amount that we shouldn’t, when we shouldn’t. So what is that something that causes us to do what we don’t want to do? You may have heard me talk about this before if you have seen some of my videos or taken a course with us. The brain that we humans have today has developed over millions of years of evolution, from reptiles, early mammals to the magnificently powerful brain that we have today. It is made up of three main elements. The reptilian brain, the earliest part of the brain, the limbic system and the neocortex, which is the bit that we normally associate with the brain. We can group the Reptilian brain and limbic system together and call them the unconscious part of the brain. The neocortex is the conscious part. We use the conscious part for thinking. The unconscious part is out of our awareness. 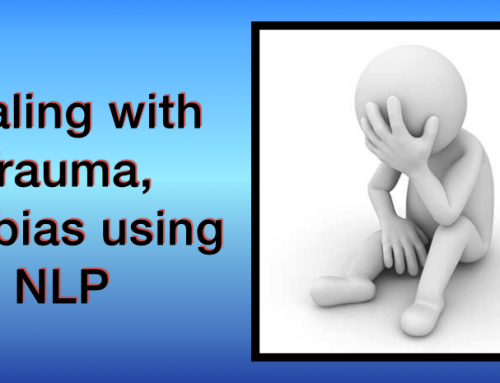 NLP is all about creating rapport between the conscious and the unconscious parts of the brain. 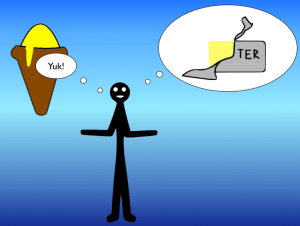 Sometimes we need to communicate with the unconscious mind in order to assist someone to change. 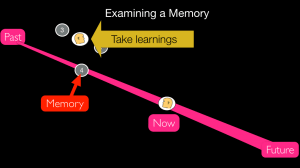 This is what NLP enables us to do. In terms of weight loss then. We decide that we want to lose weight. This is conscious thought. We are using our conscious mind, our neocortex to decide this. Later that day we get a craving for some naughty food. Where does that craving come from? The unconscious! We head for the fridge. We know (this is conscious mind) consciously that we shouldn’t but we do. The pull from the unconscious wins over the pull from the conscious thoughts. We indulge in our food pushing away thoughts of our earlier intention and then we feel guilty afterwards. The guilt is our conscious mind, saying I shouldn’t have done that! Watch the video for more…. This kind of trick was really great.